The community initiative project Stony Point Eco-Centre and restaurant (On-the-Edge) in Betty’s Bay was successfully launched on Friday, 10 April 2015. This project was funded by the National Department of Tourism as part of its Social Responsibility Programme, and implemented by Casidra. It is one of Casidra’s long-outstanding projects since the first Memorandum of Understanding was signed 10 years ago. The launch was well attended by high profile dignitaries, amongst whom were the National Tourism Minister Derek Hanekom; the Executive Mayor of the Overstrand Municipality, Her Excellency Alderman Nicolette Both-Guthrie; the Chairperson: Portfolio Committee on Tourism, honourable Beatrice Ngcobo; the Deputy Chairperson of Casidra’s Board, Dr Leonie Coetzee; the Deputy Director-General of National Tourism, Morongoe Ramphele; the Head of the Department of Economic Development & Tourism in the Western Cape, Solly Fourie; Casidra’s CEO, Michael Brinkhuis and many others. The day was filled with delightful activities and entertainment by guest speakers, guests and a multi-cultural marimba band. In her opening speech, Ald. 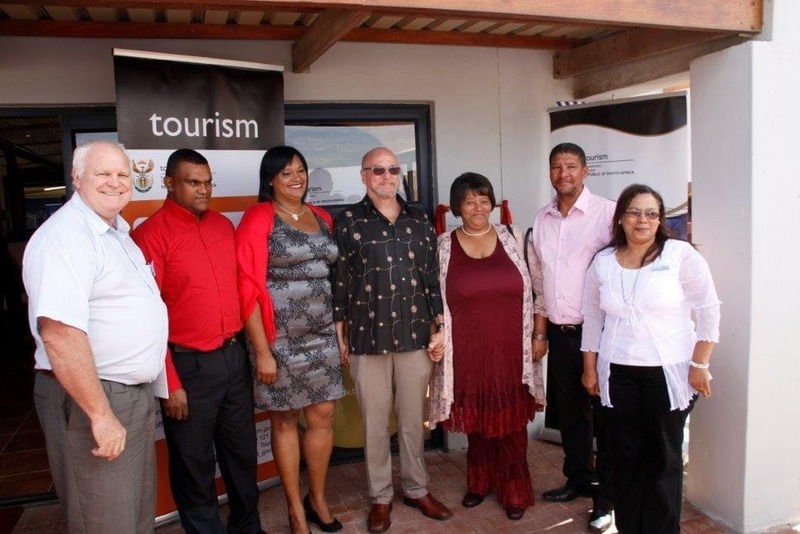 Botha-Guthrie did the honour of welcoming the National Minister of Tourism and other guests. She also used this opportunity to share the in-depth background of the entire project. “The conversion of an old former whaling station to an Eco-Centre will benefit not only the local communities, but also the entire Overstrand region, and help conserve the planet’s natural resources. There are large numbers of endangered African Penguins breeding at Stony Point, attracting over 100 000 visitors a year”, said Ald. Botha-Guthrie. Ideally, this project was developed in partnership with the Mooiuitsig Community Trust, which holds the commercial rights to manage the restaurant and eco-centre. The project itself has created a number of jobs for the Mooiuitsig Community who underwent extensive training during the implementation, and currently employs full-time workers for the On-the-Edge restaurant. This was part of the Expanded Public Works’ Programme during the construction phase. Launching Stony Point, Minister Hanekom said the new centre and adjoining restaurant are an important asset for tourism for the nearby communities and for conservation efforts. “Stony Point is a perfect example of how social, economic and environmental responsibility comes together to create a workable and sustainable solution. 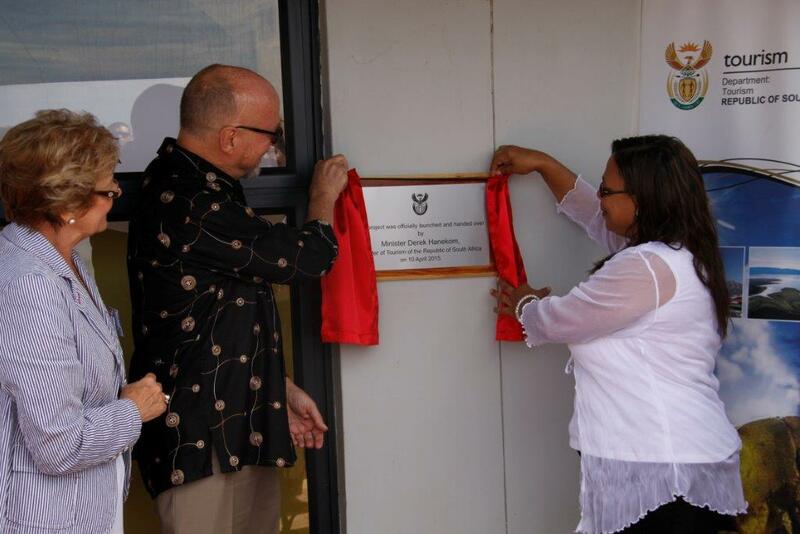 This will bring hope for the youth and people of the Mooiuitsig Community who have been involved from the start and who will continue to be involved as operators of this facility”, said Minister Hanekom. Minister Hanekom congratulated all stakeholders who were involved in making Stony Point a reality. He said, “Today we celebrate the efforts of those who care about the country. This project was made possible by people who care about other people and make it happen”. Casidra, an implementing agency of the Western Cape Government, has worked tirelessly with many stakeholders since 2005 to ensure that the objectives of Stony Point are met and delivered. Casidra, with its professional staff, such as former Senior Project Manager: Development, Elton Gordon, under the leadership of Casidra’s Chief Operations Officer, Kobus Oosthuizen, for driving this initiative from the beginning towards its completion, as well as Chief Development Officer, Thembi Mlonyeni, and her team are congratulated on a hugely successful launch. Casidra has left a lifetime legacy for the local community and the rest of the country. We are proud to say, ‘We Deliver Project Management Excellence’.